Standby Letter of Credit definition, usage, rules and practices can be found in this article. Documentary credits, however named, have certain characteristics in common. First of all, they are separate transactions by their nature from the underlying contracts on which they may be based. Secondly, documentary credits deal with the documents only but not with the goods, services and/or other performances to which the documents may relate. 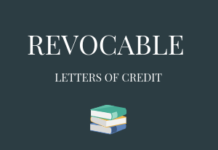 Letters of credit can balance the risks of the parties because the irrevocable payment guarantee is given by an independent and reliable third party, which fulfills its irrevocable payment obligation against the presentation of conforming documents. These common characteristics have been stated in both of the latest documentary credit rules; UCP 600 and ISP 98. Documentary credits can be divided into two main categories: Commercial letters of credit and standby letters of credit. Exporter is the beneficiary of the commercial letter of credit transaction, where importer is the applicant. Applicant, after negotiating the certain terms of the credit with the beneficiary, applies to his bank in order the letter of credit to be issued. If issuing bank accepts the applicant’s request and issues the credit, it becomes the institution that gives the irrevocable payment undertaking to the beneficiary. Issuing bank’s payment obligation under a commercial letter of credit is a separate undertaking from the transaction that occurs between the applicant and the beneficiary. Beneficiary of the commercial letter of credit can acquire the payment from the issuing bank if he complies with the rules and the stipulations of the credit and be able to supply the required documents without discrepancies. In all other situations beneficiary will not be paid by the issuing bank unless discrepancies are accepted by the applicant. Even in that case the issuing bank is the sole decider whether or not to pay to the beneficiary the letter of credit amount. Standby letters of credit can be considered as a slightly modified version of the commercial letters of credit. Standby letters of credit share the documentary and abstract character of the commercial letters of credit. Also irrevocable payment undertaken is given by an independent reliable institution. The main difference between the standby and commercial letters of credit is the usage intention. Generally, a standby letter of credit is used to support the applicant’s position in a contractual relationship, where the applicant is expected to fulfill an obligation. It should be stressed once more that standby letters of credit are separate transactions from the underlying contracts on which they may be based. 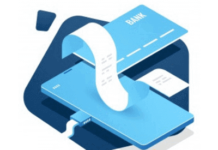 The standby letter of credit serves as a secondary payment mechanism, which means that as long as the applicant fulfills his contractual obligations, the standby letter of credit will not be utilized. Standby letters of credit have their own rules since 1999. ISP 98 – International Standby Practices, ICC Publication No. 590 is published by International Chamber of Commerce to govern the standby letters of credit. However it is possible to issue standby letters of credit subject to UCP 600. Standby letters of credit have very similar characteristics with the demand guarantees, which are issued subject to the Uniform Rules for Demand Guarantees, ICC publication No : 758. Previous articleIs It Possible to Confirm a Bank Guarantee?